1. Guonian Lu, Michael Batty, Josef Strobl, Hui Lin, A-Xing Zhu, Min Chen*. 2018. Reflections and speculations on the progress in Geographic Information Systems (GIS): a geographic perspective. International Journal of Geographical Information Science, DOI:10.1080/13658816.2018.1533136. 2. Min Chen, Hui Lin. 2018. Virtual geographic environments (VGEs): originating from or beyond virtual reality (VR)? International Journal of Digital Earth, 11(4): 329-333. 3. Hui Lin, Qing Zhu, Min Chen*. 2018. The being and Non-Being Generate Each Other, and the Virtual and the Real are Mutually Interactive-The Progress of Virtual Geographic Environments(VGEs) studies in Last 20 Years. Acta Geodaetica et Cartographica Sinica, 47(8): 1027-1030. 4. Alexey Voinov, Arzu Coltekin, Min Chen, Ghassan Beydoun. 2018. Virtual geographic environments in socio-environmental modeling: a fancy distraction or a key to communication? International Journal of Digital Earth, 11(4):408-419. 5. Guonian Lv, Min Chen, Linwang Yuan, Liangchen Zhou, Yongning Wen, Mingguang Wu, Bin Hu, Zhaoyuan Yu, Songshan Yue, Yehua Sheng. 2018. Geographic Scenario: A Possible Foundation for Further Development of Virtual Geographic Environments (VGEs). International Journal of Digital Earth, 11(4):356-368. 6. Chunxiao Zhang(#)，Min Chen(#)，Rongrong Li, Chaoyang Fang, Hui Lin*. 2016. What’s going on about geo-process modeling in virtual geographic environments (VGEs) . Ecological Modelling, 319: 147-154. 7. Hui Lin, Min Chen*. 2015. Managing and sharing geographic knowledge in virtual geographic environments (VGEs). Annals of GIS, 21:4, 261-263. 8. Min Chen, Hui Lin, Olaf Kolditz, Cui Chen. 2015. Developing dynamic Virtual Geographic Environments (VGEs) for geographic research. Environmental Earth Sciences, 74:6975–6980. 9. Hui Lin, Michael Batty, Sven E. Jørgensen, Bojie Fu, Milan Konecny, Alexey Voinov, Paul Torrens, Guonian Lu, A-Xing Zhu, John P. Wilson, Jianya Gong, Olaf Kolditz, Temenoujka Bandrova, Min Chen*. 2015. Virtual environments begin to embrace process-based geographic analysis. Transactions in GIS, 19(4)：493-498. 10. Chunxiao Zhang, Min Chen, Yulin Ding, Rongrong Li, Hui Lin. 2015. A virtual geographic environment system for multiscale air quality analysis and decision making: A case study of SO2 concentration simulation. Applied Geography, 63:326-336. 12. Hui Lin, Min Chen*, Guonian Lu, Qing Zhu, Jianhua Gong, Xiong You, Yongning Wen, Bingli Xu, Mingyuan Hu. 2013. Virtual Geographic Environments (VGEs): a New Generation of Geographic Analysis Tool. Earth-Science Reviews,126:74-84. 14. Hui Lin, Min Chen*, Guonian Lv. 2013. Virtual Geographic Environment: A Workspace for Computer-Aided Geographic Experiments. Annals of the Association of American Geographers, 103(3): 465-482. 16. Min Chen, Hui Lin, Mingyuan Hu, Li He, Chunxiao Zhang. 2013. Real geographic scenario based virtual social environment: integrate geography with social research. Environment and planning B- Planning & Design, 40(6): 1103-1121. 17. Mingyuan Hu, Hui Lin, Bin Chen, Min Chen, Weitao Che, Fengru Huang. 2011. 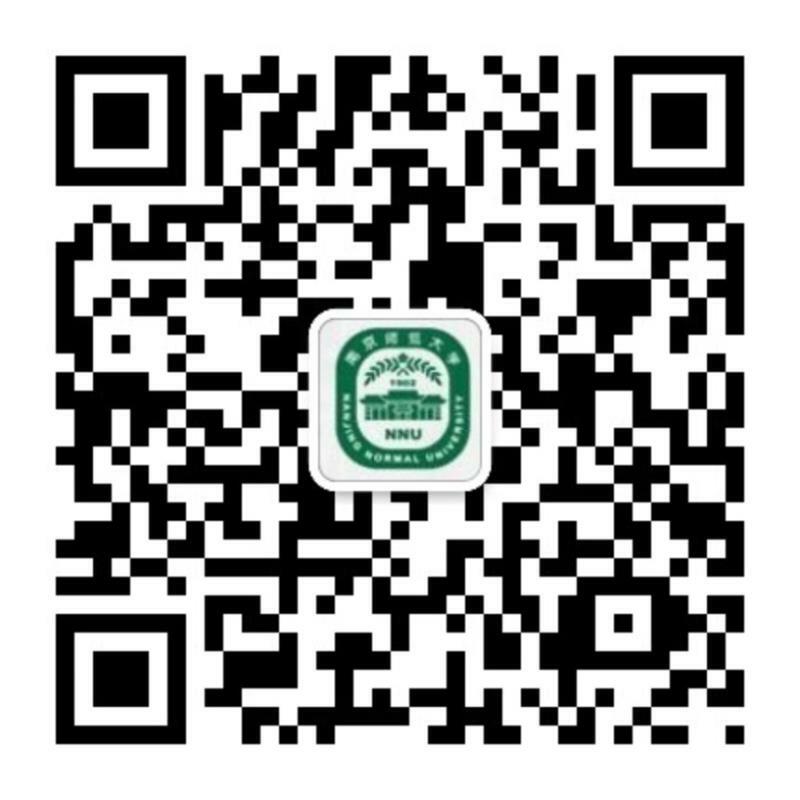 A Virtual Learning Environment of Chinese University of Hong Kong. International Journal of Digital Earth, 4(2):171-182. 20. Chen Min, Sheng Ye-hua,Wen Yong-ning, Jinwei Sheng, Hongjun Su.2008.Virtual Geographic Environments Oriented 3D Visualization System. Journal of System Simulation, 20(19): 5105-5108. 1. Min Chen*, Guonian Lu, Fuqiang Lu*, Gang Wan. 2018. Grid systems for geographic modelling and simulation: A review. Science Foundation in China, 26(3):1-22. 2. Mingyue Lu, Min Chen*, Xuan Wang, Jinzhong Min, Aili Liu. 2017. A Spatial Lattice Model Applied for Meteorological Visualization and Analysis. ISPRS International Journal of Geo-Information, 6(3):77. 3. Jinwei Shen, Tinggang Zhou, Min Chen. 2017. A 27-Intersection Model for Representing Detailed Topological Relations between Spatial Objects in Two-Dimensional Space. ISPRS International Journal of Geo-Information, 6(2):1-16. 4. Min Chen, Hui Lin, Deer Liu, Hongping Zhang, Songshan Yue. 2015. An object-oriented data model built for blind navigation in outdoor space. Applied Geography, 60:84-94. 5. Songshan Yue, Yongning Wen, Min Chen, Guonian Lu, Di Hu, Fu Zhang. 2015. A data description model for reusing, sharing and integrating geo-analysis models. Environmental Earth Sciences, 74(1): 7081-7099. 6. Min Chen, Yongning Wen, Songshan Yue. 2015. A progressive transmission strategy for GIS vector data under the precondition of pixel losslessness. Arabian Journal of Geosciences, 8:3461-3475. 7. Ying Bao, QingjiuTian, Min Chen, HuiLin. 2014. An Automatic Extraction Method for Individual Tree Crowns Based on Self-adaptive Mutual Information and Tile Computing. International Journal of Digital Earth, 8(6): 495-516. 8. Yongning Wen, Min Chen*, Guonian Lu, Hui Lin, Songshan Yue, Xin Fang. 2013. A Characteristic Bitmap Coding Method for Approximate Expression of Vector Elements Based on Self-Adaptive Gridding. International Journal of Geographical Information Science, 27(10):1939-1959. 9. Yongning Wen, Min Chen*, Xiao Wang, Fu Zhang, Li He.2011. Research on HTML5-based Web Vector Map Publishing Strategy. International Journal On Advances in Information Sciences and Service Sciences, 3(9): 274 -285. 1. Jin Wang, Min Chen*, Guonian Lu, Songshan Yue, Kun Chen, Yongning Wen. 2018. A Study on Data Processing Services for the Operation of Geo-Analysis Models in the Open Web Environment. Earth and Space Sciences, DOI: 10.1029/2018EA000459. 3. Songshan Yue, Min Chen*, Chaowei Yang, Chaoran Shen, Bowen Zhang, Yongning Wen, Guonian Lu. 2018. A Loosely Integrated Data Configuration Strategy for Web-Based Participatory Modeling. GIScience & Remote Sensing, DOI: 10.1080/15481603.2018.1549820. 4. Min Chen, Chen Yang, Tao Hou, Guonian Lu, Yongning Wen, Songshan Yue.2018. Developing a data model for understanding geographical analysis models with consideration of their evolution and application processes. Transactions in GIS, DOI: 10.1111/tgis.12484. 6. Ming Wang, Min Chen*, Fengyuan Zhang, Songshan Yue, Yongning Wen, Guonian Lu. 2018. Research on Service-oriented Encapsulation Method for OMS Platform Model. Geomatics World, 25(3):11-16. 7. Yongning Wen, Min Chen, Songshan Yue, Peibei Zheng, Guoqiang Peng, Guonian Lu. 2016. A Model-Service Deployment Strategy for Collaboratively Sharing Geo-Analysis Models in an Open Web Environment. International Journal of Digital Earth, 10(4):405-425. 8. Songshan Yue, Min Chen, Yongning Wen, Guonian Lu. 2016. Service-oriented model- encapsulation strategy for sharing and integrating heterogeneous geo-analysis models in an open web environment. ISPRS Journal of Photogrammetry and Remote Sensing, 114, 258-273. 10. Yongning Wen, Min Chen*, Guonian Lu, Hui Lin. 2013. Prototyping an open environment for sharing geographical analysis models on cloud computing platform. International Journal of Digital Earth, 6(4):356-382. 11. Min Chen, Hong Tao, Hui Lin, Yongning Wen. 2011. A visualization method for geographic conceptual modelling. Annals of GIS, 17(1): 15-29. 1. Min Cao, Mengxue Huang, Ruqi Xu, Guonian Lu, Min Chen*. 2018. A grey wolf optimizer-cellular automata integrated model for urban growth simulation and optimization. Transactions in GIS, DOI: 10.1111/TGIS.12517. 2. Jingwei Shen, Lan Zhang, Min Chen*. 2018. Topological relations between spherical spatial regions with holes. International Journal of Digital Earth, DOI: https://doi.org/10.1080/17538947.2018.1523958. 3. Pengxiang Zhao, Xintao Liu, Wwenzhong Shi, Tao Jia, Wengen Li, Min Chen. 2018. An Empirical Study on the Intra-Urban Goods Movement Patterns Using Logistics Big Data. International Journal of Geographical Information Science, doi: https://doi.org/10.1080/13658816.2018.1520236. 4. Xin Li, Guodong Cheng, Hui Lin, Ximing Cai, Miao Fang, Yingchun Ge, Xiaoli Hu, Min Chen, Weiyue Li. 2018. Watershed System Model: The Essentials to Model Complex Human‐Nature System at the River Basin Scale. Journal of Geophysical Research, 123, 3019-3034. 5. Wenping Yuan, Shuguang Liu, Wei Liu, Shuqing Zhao, Wenjie Dong, Fulu Tao, Min Chen, Hui Lin. 2018. Opportunistic Market‐Driven Regional Shifts of Cropping Practices Reduce Food Production Capacity of China. Earth’s Future, 6(4):634-642. 6. Wenping Yuan, Shilong Piao, Dahe Qin, Wenjie Dong, Jiangzhou Xia, Hui Lin, Min Chen. 2017. Influence of Vegetation Growth on the Enhanced Seasonality of Atmospheric CO2. Global Biogeochemical Cycles, 32(1): 32-41. 7. Pengxiang Zhao, Xintao Liu, jingwei Shen, Min Chen. 2017. A network distance and graph-partitioning-based clustering method for improving the accuracy of urban hotspot detection. Geocarto International, doi: https://doi.org/10.1080/10106049.2017.1404140. 8. Jingwei Shen, Min Chen*, Xintao Liu. 2018. Classification of topological relations between spatial objects in two‐dimensional space within the dimensionally extended 9‐intersection model. Transactions in GIS, 22(2): 514-541. 9. Jingwei Shen, Xintao Liu, Min Chen*. 2017. Discovering spatial and temporal patterns from taxi-based Floating Car Data: a case study from Nanjing. GIScience & Remote Sensing, 54(5): 617-638. 10. Chunxiao Zhang, Hui Lin, Min Chen, Xinqi Zheng, Rongrong Li, Yulin Ding. 2017. A modelling system with adjustable emission inventories for cross-boundary air quality management in Hong Kong and the Pearl River Delta, China. Computers, Environment and Urban Systems, 62:222-232. 11. Songshan Yue, Jianshun Yang, Min Chen, Guonian Lu, Axing Zhu, Yongning Wen.2016. A function-based linear map symbol building and rendering method using shader language. International Journal of Geographical Information Science, 30（2）：143-167. 13. Jian Lin, Bo Huang*, Min Chen*, Zheng Huang. 2014. Modeling urban vertical growth using cellular automata—Guangzhou as a case study. Applied Geography, 53:172-186. 14. Chunxiao Zhang, Hui Lin, Min Chen, RongRong Li, ZhiChao Zeng. 2014. Scale Compatibility Analysis in Geographic Process Research: A Case Study of a Meteorological Simulation in Hong Kong. Applied Geography, 52:135-143. 15. Chunxiao Zhang, Hui Lin, Min Chen. 2014. Scale matching of multiscale digital elevation model (DEM) data and the Weather Research and Forecasting (WRF) model: A case study of meteorological simulation in Hong Kong. Arabian Journal of Geosciences, 7:2215-2223. 16. Min Chen, Hui Lin, Yongning Wen, Li He, Mingyuan Hu. 2013. Construction of a virtual lunar environment platform. International Journal of Digital Earth, 6(5): 469-482. 17. Min Chen, Hui Lin, Yongning Wen, Li He, Mingyuan Hu. 2012. Sino-VirtualMoon：A 3D web platform using Chang'e-1 data for collaborative research. Planetary and Space Science, 65(1):130-136. 1. Min Chen, Danyang Liu, Kejian Qian, Jun Li, Mengling Lei, Yi Zhou. 2018. Lunar Crater Detection Based on Terrain Analysis and Mathematical Morphology Methods Using Digital Elevation Models. IEEE Transactions on Geoscience and Remote Sensing, 56（7）：3681-3692. 2. Min Chen, Mengling Lei, Danyang Liu, Yi Zhou, Hao Zhao, Kejian Qian. 2018. Morphological Features-Based Descriptive Index System for Lunar Impact Craters. ISPRS International Journal of Geo-Information, 7(1):5. 3. Yi Zhou, Hao Zhao, Min Chen, Jie Tu, Long Yan. 2018. Automatic detection of lunar craters based on DEM data with the terrain analysis method. Planetary and Space Science, 160(1):1-11. 4. Danyang Liu, Min Chen*, Kejian Qian, Mengling Lei, Yi Zhou. 2017. Boundary Detection of Dispersal Impact Craters Based on Morphological Characteristics Using Lunar Digital Elevation Model. Journal of Selected Topics in Applied Earth Observations and Remote Sensing, 10(12):5632-5646. 5. Guonian Lv, Liyang Xiong*, Min Chen*, Guoan Tang, Yehua Sheng, Xuejun Liu, Zhiyao Song, Yuqi Lu, Zhaoyuan Yu, Ka Zhang, Meizhen Wang. 2017. Chinese Progress in Geomorphometry. Journal of Geographical Sciences, 11:1389-1412. 7. Ting Wei, Wenjie Dong, John Moore, Qing Yan, Yi Song, Zhiyong Yang, Wenping Yuan, Jieming Chou, Xuefeng Cui, Xiaodong Yan, Zhigang Wei, Yan Guo, shili Yang, Di Tian, Pengfei Lin, Song Yang, Zhiping Wen, Hui lin, Min Chen, Guolin Feng, Yundi Jiang, Xian Zhu, Juan Chen, Xin Wei, Wen Shi, Zhiguo Zhang, Juan Dong, Yexin Li, and Deliang Chen. 2016. Quantitative Estimation of the Climatic Effects of Carbon Transferred by International Trade. Scientific Reports, 6, 28046. 9. Ying Bao#, Qingjiu Tian, Min Chen#. 2015. A Weighted Algorithm Based on Normalized Mutual Information for Estimating the Chlorophyll-a Concentration in Inland Waters Using Geostationary Ocean Color Imager(GOCI) Data. Remote sensing, 7:11731-11752. 14. Li He, Min Chen*, Guonian Lu, Hui Lin, Longyu Liu. 2013. An approach to transform Chinese historical books into scenario-based historical maps. Cartographic Journal, 50(1): 49-65. 15. Min Chen, Hui Lin, Guonian Lv, Li He, Yongning Wen. 2011. A spatial-temporal framework for historical and cultural research on China. Applied Geography, 31: 1059-1074.